Middle Pages is a program that promises to enhance users’ browsing experience by providing various useful tools for finding the best prices, comparing online deals, and searching the web. Even though the program seems to be a really beneficial one, we do not recommend keeping it or downloading it on your system. 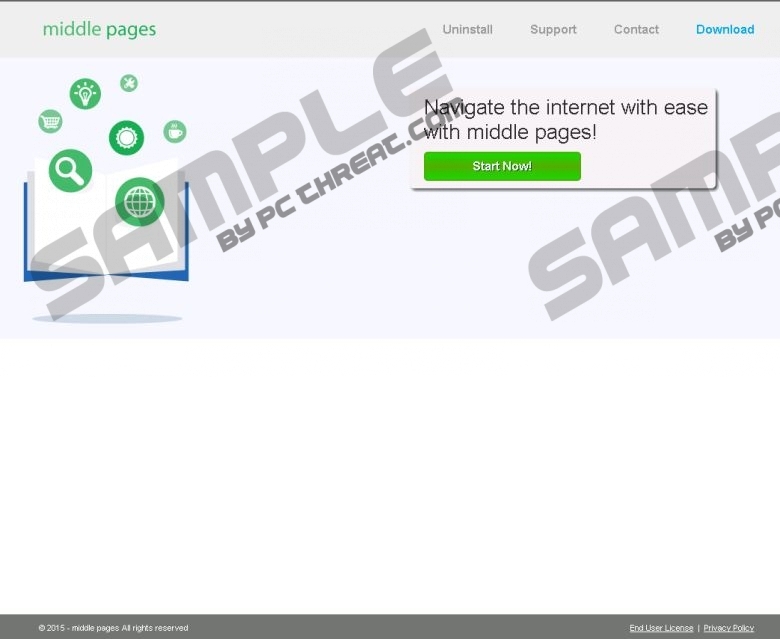 If you have already done that, make sure that you get rid of Middle Pages from your system because it will definitely not work “hard behind the scenes to enhance your browsing.” In fact, researchers working at pcthreat.com believe that this program might even cause harm to a system if a user keeps it installed. If you wonder how this might happen and how to delete Middle Pages, you should definitely continue reading this article. 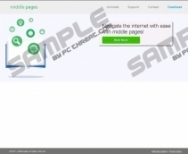 Middle Pages belongs to the family of SuperWeb LLC adware, and it acts exactly like Back to Back, Esuack, Global Gadget, and other programs. This means that it simply shows commercial advertisements. According to the information provided in the End User License Agreement, you will see in-text ads and links, and transitional, interstitial, and full-page ads. In addition, you might notice search-related ads, banners, and video advertisements as well. It is not advisable to click on the ads generated by Middle Pages because you might infect your system with malicious software. Actually, the possibility of clicking on ads is still there even if you decide not to do that, so we suggest that you get rid of those ads completely. In order to do that, you simply have to remove Middle Pages from your system. You should not forget that Middle Pages not only shows ads, but also tracks users and records information associated with their web browsing activities. There is also a possibility that the program itself will connect to the Internet without your permission. Of course, you can always put an end to suspicious activities by deleting Middle Pages entirely. Do not forget that it is very important to be cautious all the time in order not to allow other programs developed by SuperWeb LLC to enter your system. In order to prevent this from happening, you should visit trustworthy websites only, download software from their official websites, be very careful on file-sharing and torrent websites, and, finally, install a trustworthy security tool. According to our specialists, there are various such tools available on the web, so you have to make sure that the tool you select is 100% trustworthy prior to installing it on your system. We understand that commercials are very irritating and annoying, and they simply do not allow users to do daily activities freely. Do not worry; we know how to get rid of them. In fact, the easiest way to eliminate ads from the screen is to remove an adware program. The easiest way to do that is to scan the system with SpyHunter or another tool; however, we do not even doubt that you will get rid of this program yourself if you have ever tried removing malware manually. Our instructions (see below) will help you do that. Find the program that you are going to erase. Type control panel in the Open box and click OK.
Quick & tested solution for Middle Pages removal.